Cutloose Climbing: Anro's first 7C! 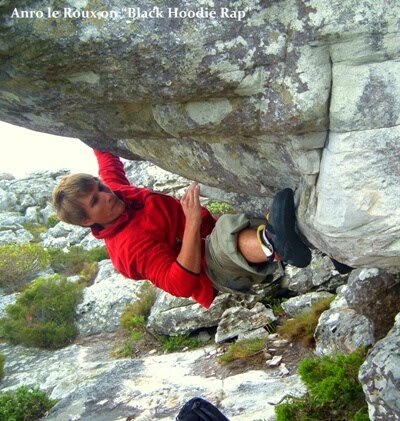 Anro le Roux has climbed "Black Hoodie Rap" at the Vajra boulders at Redhill. This is Anro's first 7C and the 4th known ascent of the problem, which links the "Four Singers Extension" into the dyno finish of "Shark Lord Darren".